It seems like Creative is following the “if it ain’t broke, don’t fix it” mantra for their latest Tactic 3D lineup of gaming headsets. For a company with a name that literally implies innovation, this comes across as a little strange for me. 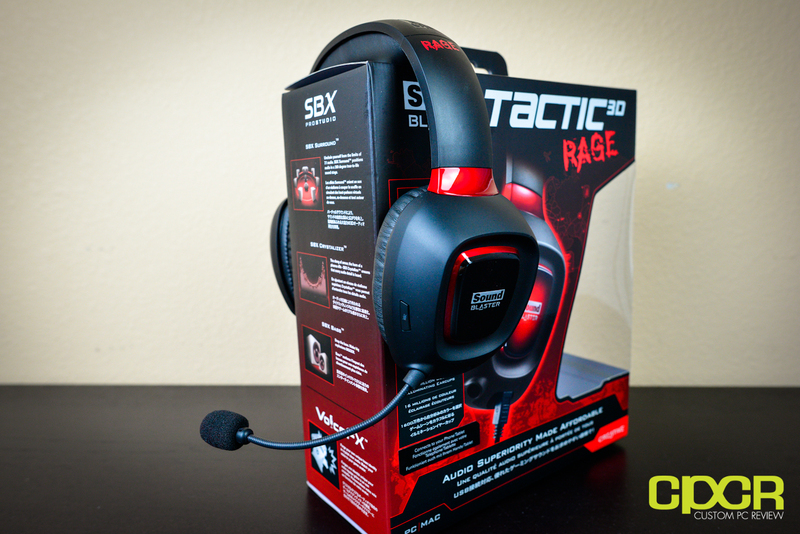 In fact, the headsets in the Tactic 3D lineup look so similar that when Creative sent me the Tactic 3D Rage to review I had to double check the box to make sure that they didn’t ship a Tactic 3D Wrath by mistake – they didn’t. I thought that since the Tactic 3D Rage doesn’t seem to substantially deviate from the Wrath aside from having an angrier name, it’s probably packing something special on the inside, right? Well, not really. After reading the specifications sheet, the Tactic 3D Rage is fairly identical to the Tactic 3D Wrath. 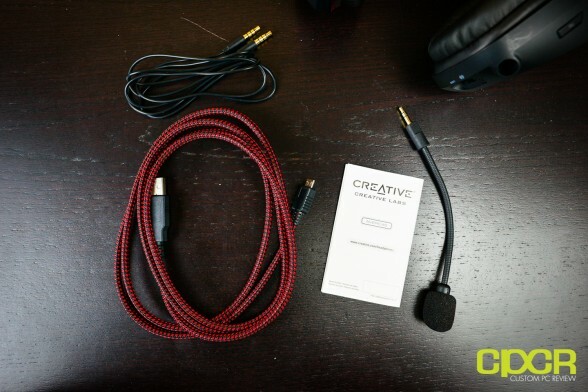 Everything from the 50mm neodymium drivers, microphone type, and frequency response are all pretty much identical with the exception that the model we have here is the wired edition, with Creative also offering a wireless edition of the Tactic 3D Rage as well. 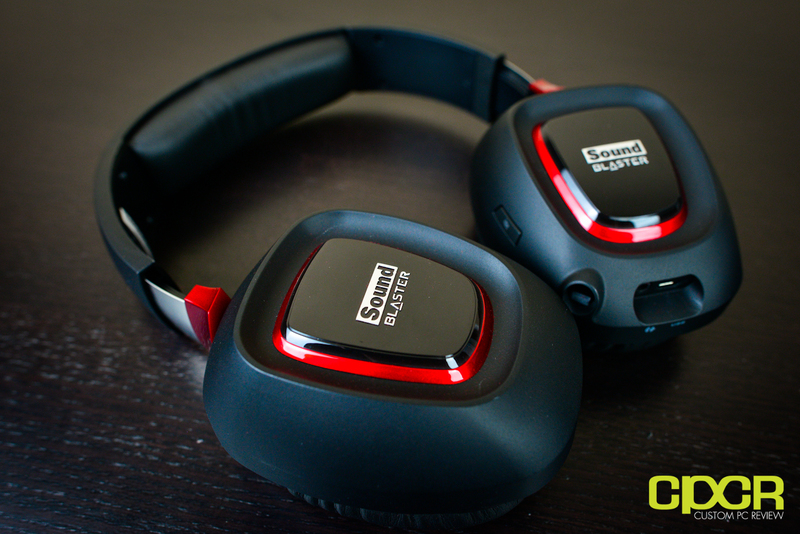 The only noticeable difference between the two is that the Tactic 3D Rage has programmable earcup lighting and has a newer SBX pro software. Nice. So with these all these similarities, is the Tactic 3D Rage actually going to be all the rage? Keep on reading to find out. Let’s take a look at the packaging. Hmm… looks familiar? It should. The crimson red and black color scheme along with the box’s design is quite similar to the Sound Blaster Tactic 3D Wrath. Included in the package we get some documentation, a braided USB cable, a 3.5mm audio cable, the headphones themselves and a detachable microphone. Here’s a look at the headset. Let’s take a closer look. 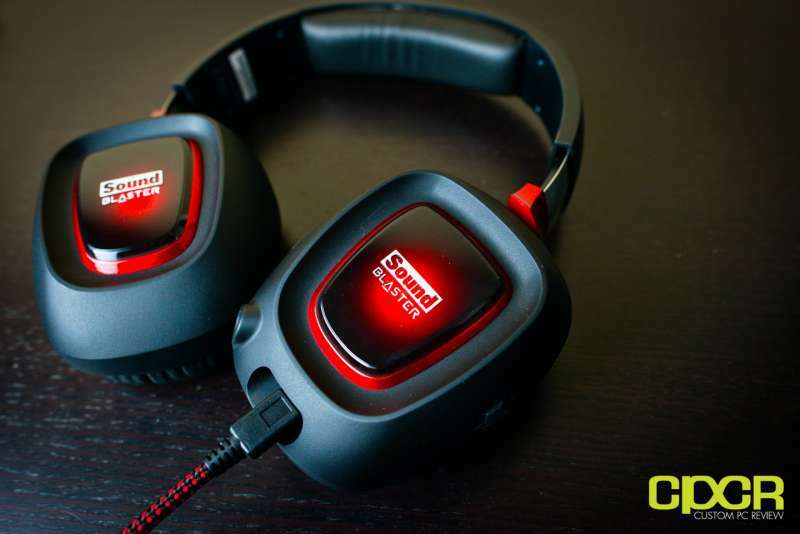 Taking a closer look at the headset we can see that at the bottom of the left ear cup we get both an input for USB as well as another input for 3.5mm such as a mobile device for example. Additionally, there’s also an additional 3.5mm jack for the microphone as well, which is designed for the included microphone. 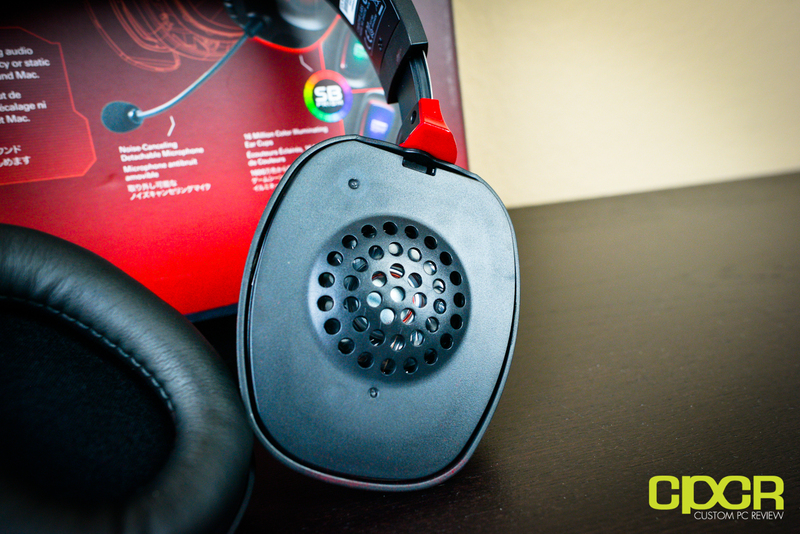 On the front of the left ear cup you also have a button that will allow you to quickly mute your microphone. On the back of the left ear cup you have a volume control that allows you to conveniently lower or raise the sound coming out of the headset. 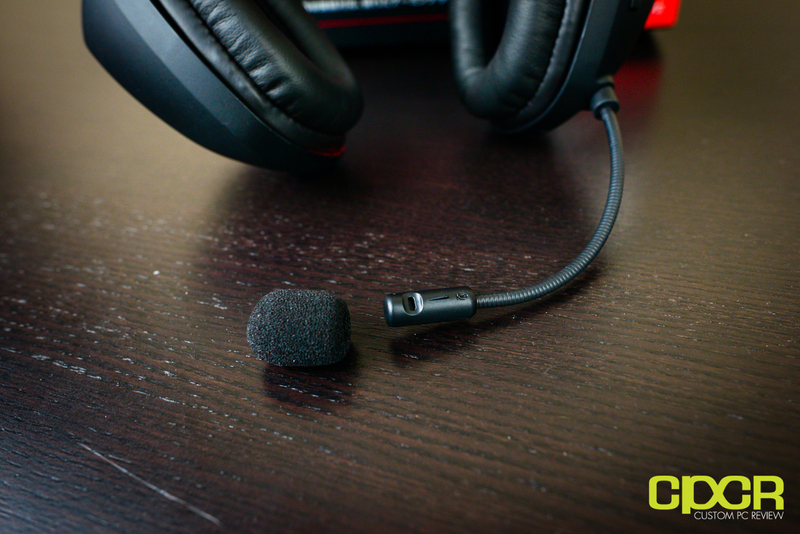 Like all other Tactic 3D headsets on the market, the Tactic 3D Rage also sports a detachable microphone. Unfortunately having a detachable microphone means that you might have a chance of misplacing the aforementioned attachment. Hopefully an integrated, retractable microphone is something Creative could look into with a future revision. 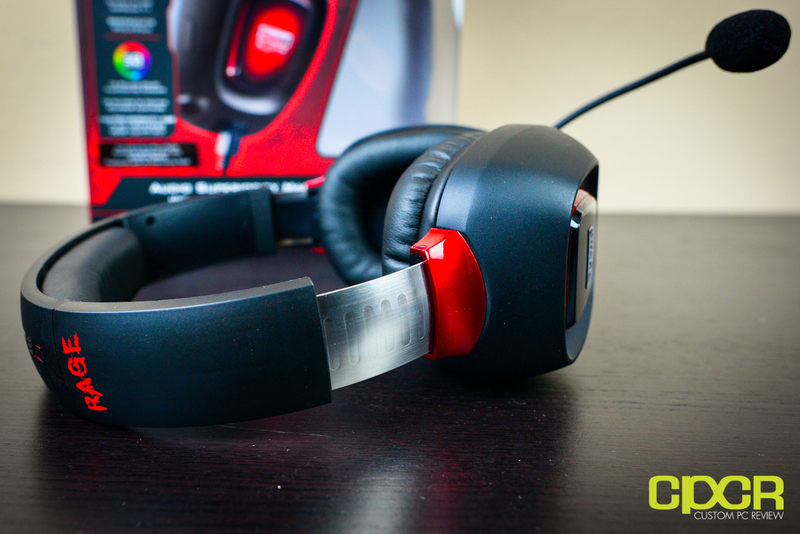 Here is a quick look at the headset itself. 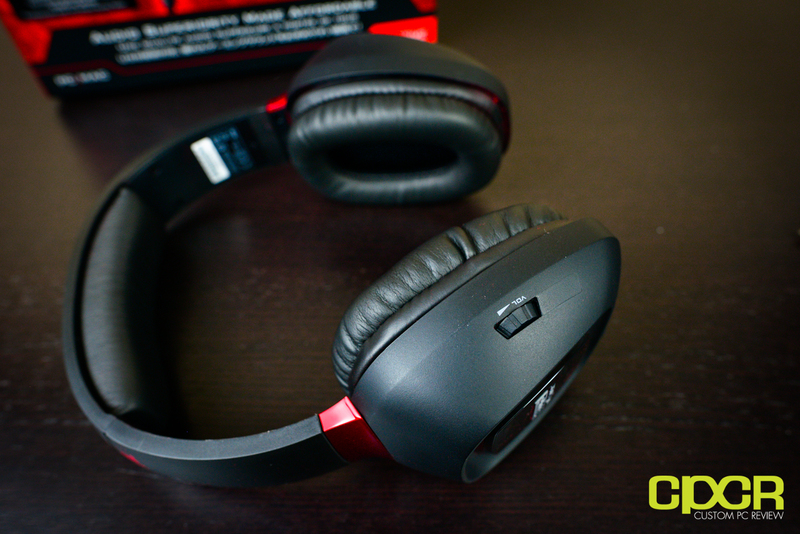 Notice the steel core headband which gives the headset an extremely durable feel. The red and black color scheme is very reminiscent of that of the Tactic 3D Wrath and looks extremely well when paired with a red and black themed set up. 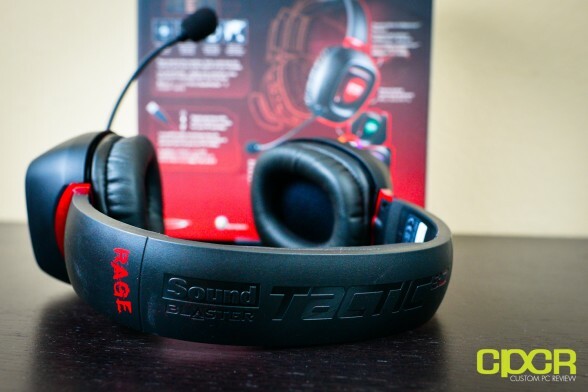 Also notice how like all previous Tactic 3D headsets the Rage uses leatherette earcups. This generally the headset slightly better bass response due to better noise isolation, but they tend to become a bit hot after a while since the leatherette doesn’t breathe too well. Removing the leatherette ear cups, we can take a look at the 50mm drivers underneath. Pulling out the Tactic 3D Rage and comparing it with the older Tactic 3D Sigma, we can see that the Tactic 3D Rage does build on its predecessor with a couple differences despite the similarities in design. 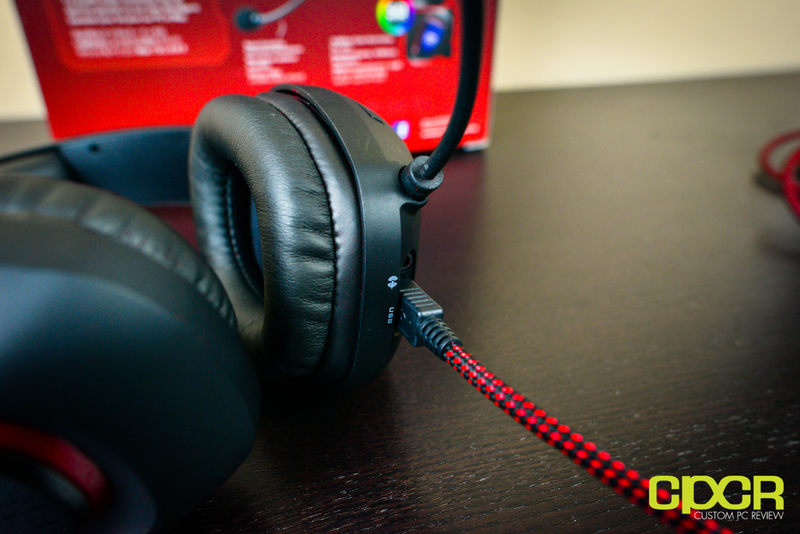 For example, the cord is now a more durable braided cable and it’s now detachable as well. Earcup design and choice in materials is slightly different as well, but overall it looks like there hasn’t been a drastic change in design. To unlock the full ability of the Tactic 3D Rage you must first install the software available to download at the Creative website here. Once installed, we get the entire Sound Blaster SBX Pro Studio software suite, which I might add is quite reminiscent of the THX TrueStudio Pro found included with previous models. Also included in the software is an equalizer with the traditional presets optimized for the different genres. 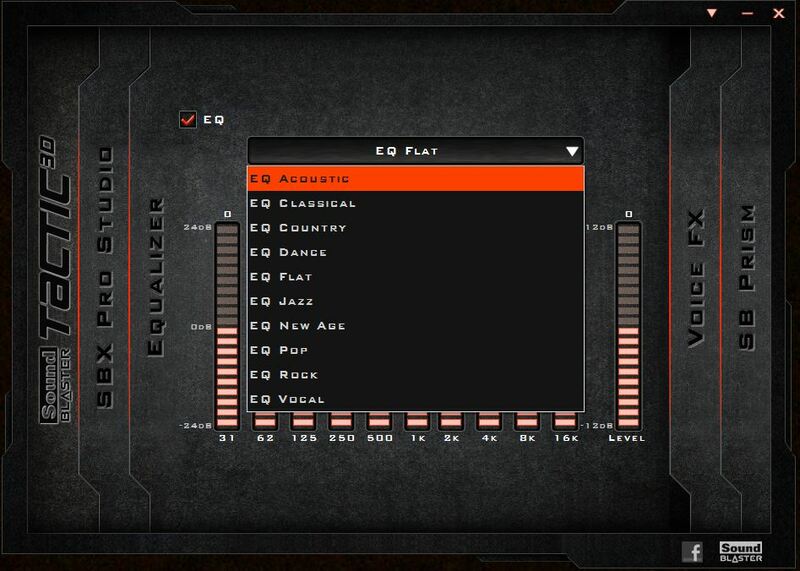 For those serious about fine tuning their auditory experience you have the option to arrange the equalizer to your own liking and save it to a profile for future access. 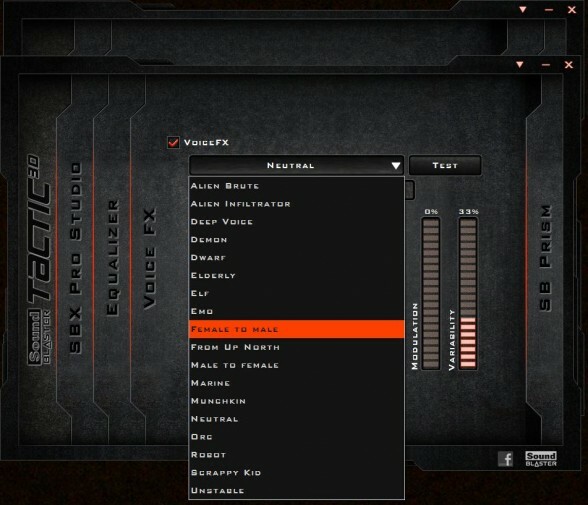 Another cool addition in the software package is VoiceFX which allows you to change your voice to a preset in real time. This can be combined with any program using a mic so imagine the endless fun you can have making Skype calls or using it on Team Speak. The final part of the software allows you to change the color, intensity and pulsation of the side LEDs on the Tactic 3D Rage. This is a welcome addition that will allow you to match the color of the headset to whatever theme you have going on for the pc, mouse or keyboard. 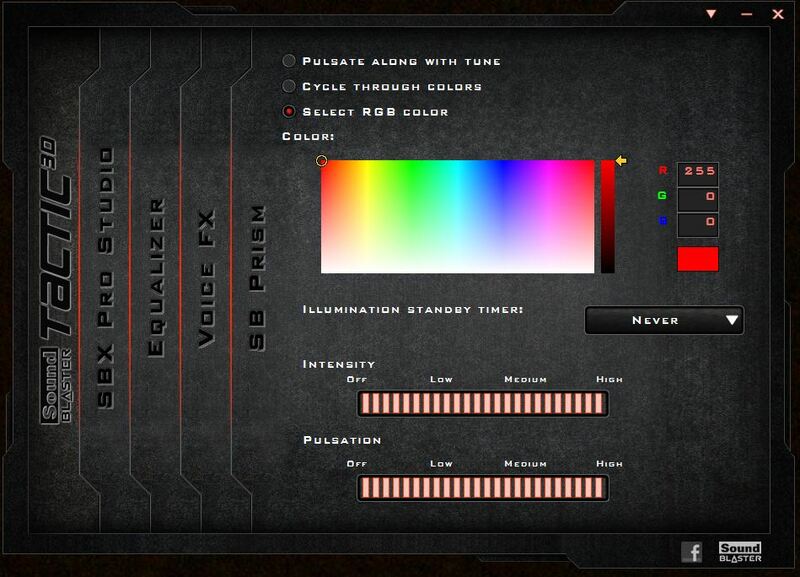 As you can see, the LED color may be changed to any color on the RGB spectrum. 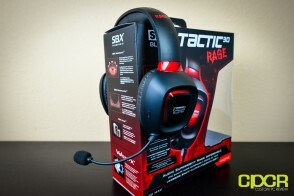 I began my tests of the Tactic 3D Rage by playing different games and movies and listening to the sound quality. To no one’s surprise, the Rage performed very similarly to its relatives, the Tactic 3D Wrath and Sigma. 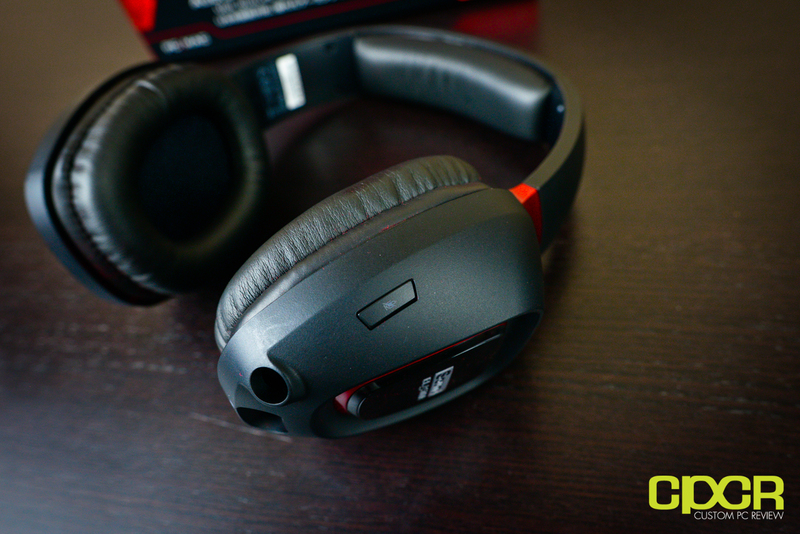 The headset still delivers that bass heavy type of audio profile that really threw me right into the action. 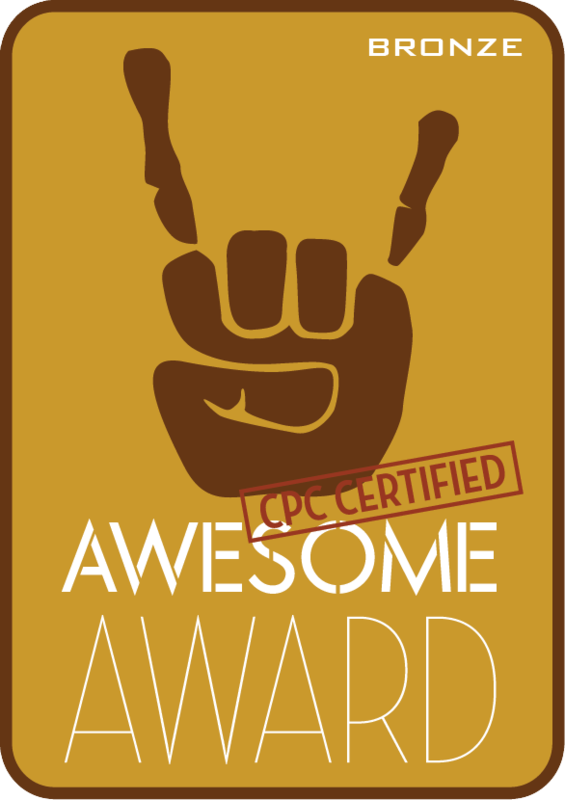 SBX Pro Studio is still the same old audio optimization software suite we’ve grown to love over the past couple generations and it’s still got all the bells and whistles to make audio interesting. 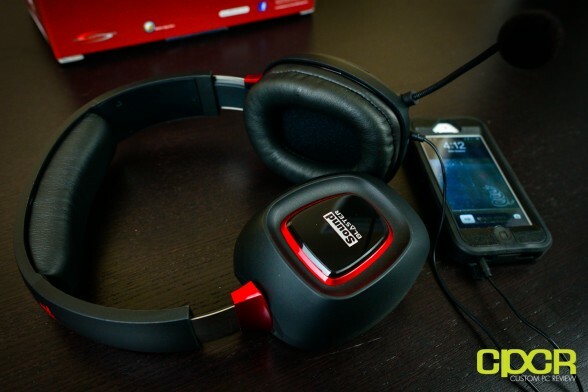 Aside from games and movies I also tested the headset quite extensively with music. Sound quality was overall quite decent listening either through the USB connected to a PC or through the 3.5mm jack connected to a mobile device. 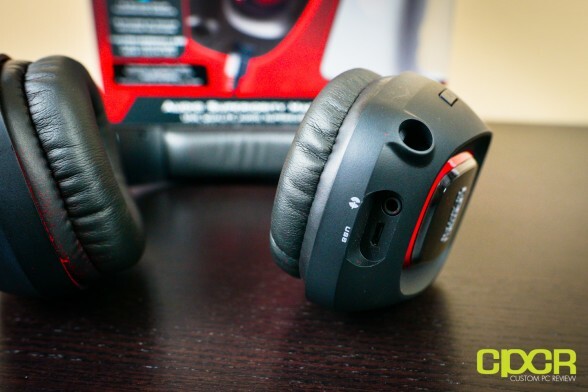 As expected, what I found was that the headset was quite a bit bass intensive. This will either be great for you or not so good depending on your own tastes and what kind of music you enjoy listening to. I found the increased bass to be awesome when listening to dubstep, EDM, or hip hop tracks that make use of a lot of bass. On the other hand I found the extra bass a bit overwhelming when listening to classical music or rock. One of the improvements to the Tactic 3D Rage is the microphone quality, which seems better than what I’ve experienced thus far with the Tactic 3D Wrath or the Tactic 3D Sigma. Taking a look at the specifications, it does seem like the microphone on the Tactic 3D Rage is a new model with an improved frequency response range of 100Hz ~ 6.5kHz compared to the 100Hz ~ 7 kHz on the Tactic 3D Wrath and 100Hz ~ 18kHz on the Tactic 3D Sigma. What does this result in? Well, overall improved voice clarity and less microphone noise that’s actually quite decent for a gaming headset microphone, almost comparable to the awesome microphone on the Plantronics GameCom 780. Then there’s also Voice FX. Having the ability to alter your voice through the Voice FX software is a fun plus that does get old, but then again it’s always fun to have the ability to prank your friends once in a while. 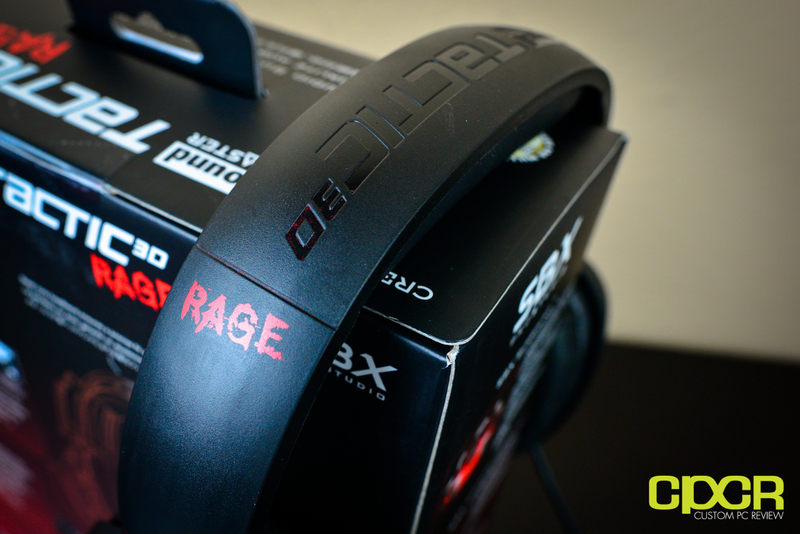 My last test with the Rage was a comfort test where I wore the headset roughly three to four hours. After wearing the headset for several hours I wasn’t too impressed with the comfort level. Comfort seems to be my main concern with all generations of Tactic 3D headsets, and it’s something I’d really like to see addressed in the future. First off, the main comfort issue I found was that the earcups were too shallow. What this means is once the headset is securely clamped over your head your ears will somewhat be touching the inner padding. During the first two hours I would say that little to no discomfort is felt. However after passing that threshold for some reasons my ears begin to itch which would distract me from my game, movie or task at hand. This is my personal experience and results might vary from person to person since I might just have larger ears. The second issue I believe plagues all headsets using the leatherette earcup material which is after extended usage they get really hot. During winter it might not be as bothersome but when summer rolls around your ears will want to kill you. An easy solution for Creative is to simply provide replacement earpads made out of cloth material which allows for better air circulation and as a result keep your ears from overheating. The last issue might just affect people who wear glasses like me. When I tested the headset I normally used my thin framed glasses and didn’t experience any discomfort here. However, once I switched over to glasses with a thicker frame, I felt that the clamping points pressed the glass frame a bit too much to the side of my head creating some serious discomfort. This is not necessarily an issue that may affect all users of the headset, but if you wear thicker glasses you can probably expect this issue to plague you as well. The sound quality of the Tactic 3D Rage has remained consistent with Creatives previous offerings such as the Tactic 3D Wrath and the Sigma, so I’m not going to go too into detail here. All I have to say is if you enjoy having a slightly more powerful bass response or you like headsets that sound a bit like Beats, the Tactic 3D Rage is probably what you’re looking for in a gaming headset. The Creative tuned 50mm drivers will provide that extra bass making movies and games so much more exciting, and if you like bassy music, then you’ll love the Tactic 3D Wrath. I personally felt that this enhanced bass drowned the high and mid tones a bit too much for my tastes especially in certain genres so it was a big hit and miss for me. SBX Pro Studio is as usual a nice addition. Few other companies out there boast a more complete audio software suite than Creative and I think this is really where Creative has a leg up on most other USB based gaming headsets out there. 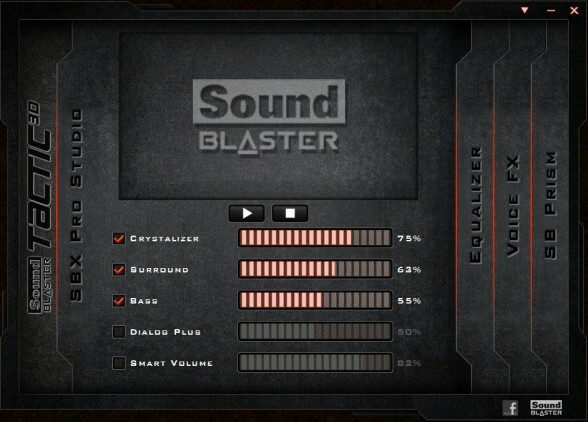 Most headsets I have tested will have either just simple equalizers or no software enhancements at all and it’s quite easy to get a bit spoiled by some of the functions such as Crystalizer, which I’ve found helps improve clarity on lower quality music, or Surround, which I’ve found to help widen the soundstage. 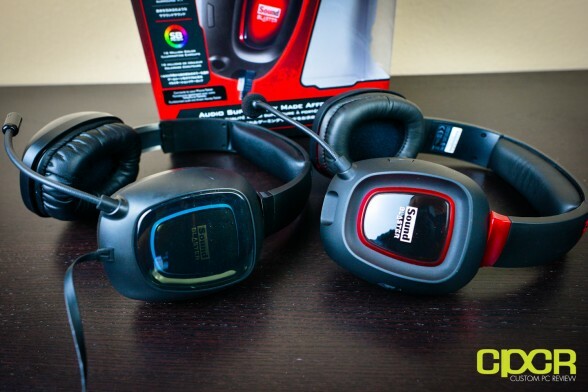 Overall, I think Creative is making decent improvements with every revision of their Tactic 3D line of products, but a headset can only be used when worn and I think Creative should step up a bit to make the Tactic 3D series headsets a bit more comfortable when used for long periods of time. For short term comfort, I found the Tactic 3D Rage to be quite good. The leatherette actually feels very nice and very cushy around the ears; however, as the hours went on, the headset’s comfort level quickly drops. The main areas that bothered me were the shallowness of the earcups that allowed my ears to touch the inner section of the headset, the leatherette earcups becoming hot after extended usage and finally the clamping of the glasses frame to the side of the head. The last one will probably only affect people who wear glasses with larger frames since I found significantly less discomfort when using my thin framed glasses. Of these, I think the best solution is for Creative to offer a cloth based earcup, which should help in the comfort department. The Creative Sound Blaster Tactic 3D Rage is currently available at Amazon for $75.00. 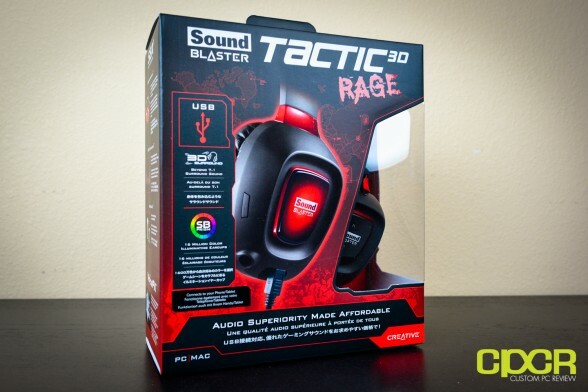 There’s also the Creative Sound Blaster Tactic 3D Rage Wireless going for $92.97, which I haven’t tested, but I’m going to assume it’s the exact same thing as we’ve tested here except that it’s wireless. Those trying to make a decision between the Tactic 3D Sigma and the Tactic 3D Rage, I’d say to just spend the extra couple bucks for the Rage. The inclusion of the braided cord, the better quality on the microphone and the ability to plug the headset into a mobile device is definitely worth it. Didn’t you notice that the microphone volume is still pretty low, while you already set the microphone volume to the max in the configurationsoftware? Seriously you should learn to configure your pc, been using this headset for a few months now. No problem with outgoing or in-going volume being to low, have to actually turn the outgoing volume down as it was to high. If it is pointed away from your mouth it will be lower sound. I think it’s a good heads but you can’t listen to music off your phone and be on your pc and also the headset is very heavy the comfort level isn’t very good also your ears get very sweaty but other than that the sound is nice and crisp and the microphone is very good quality very responsive and no lag and the control panel is very fun to mess around with. Hello, Am i able to buy the little mic protector thing somewhere, not able to find it!